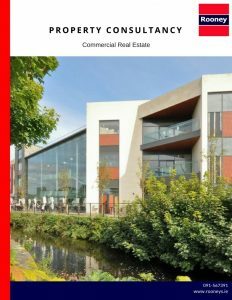 We have been selling, leasing, buying and advising on commercial property for over 40 years and are the most established commercial agents in the Irish Western Hemisphere..
Commercial properties are at variance from other properties in that they are more complex, involve much statue law, legalities and expert negotiation on several fronts. We are involved in all types of commercial property from Offices, Retail and Industrial units to Hotels, Pub and Development sites. As with all other departments our focus is, above all, on identifying our clients’ objectives and delivering on our promise to satisfy them. Our expertise and reputation for negotiation is of paramount importance to us in addition to our qualifications and knowledge of the commercial market. We are retained by private individuals, corporations and state bodies to acquire property on their behalf. We have a well-earned reputation for acquiring Property and are regarded as top performers in the industry acting on behalf of Investors and Occupiers. Proven Negotiation skills, Expert Market Knowledge and connections in the Industry ensure our continued success in Commercial Property Acquisition. Our local Knowledge helps us to identify issues /challenges with certain properties to be avoided and trophy assets to be tracked. In addition, in many circumstances through our connections we source and acquire off-market Properties in addition to those listed. We are renowned for our selling skills especially in the commercial markets and have a proven reputation for achieving excellent results. Additionally, we have an extensive database of enquires for commercial property that is actively managed. Our Expert Knowledge of the markets allows us the opportunity to accurately evaluate the value of the property to present same to the market at the right level. For investment properties with occupied tenancies we provide advice on restructuring leases or addressing onerous covenants in Commercial Leases which may add huge value to the property if addressed pre-market. 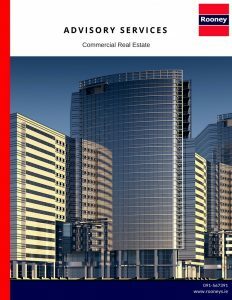 The company was founded in 1970 and because of this long standing we are fortunate to have built up an extensive database of potential tenants who can be matched with suitable commercial properties for lease. With specific skills in Landlord & Tenancy we can advise on the structure of new leases and the covenants to be include in the lease. Once a lease is agreed we work closely with the client’s solicitor to ensure the lease contains all the covenants required to protect the landlord. Once the letting is secured we follow up with automated alarms and notices of pending and forthcoming rent reviews, lease terminations etc. We have been advising clients on the feasibility and development of development projects for over 40 years. 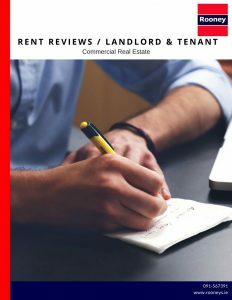 The advice is based on years of experience of the property markets in conjunction with a professional and accountable approach to the assessment of the feasibility and best practices for such developments. Providing an accurate appraisal and feasibility assessment ensures we help our clients maximise the potential developmental value of the site. We apply our experience and knowledge of the property market to provide an accurate analysis of current market trends and forecasts. This is supported by market feasibility studies, location and catchment analysis, demand forecasts, strategic economic advice and sales/marketing strategies. Many clients retain us to source ad secure suitable premises for their businesses. In this capacity, we have acquired property on behalf of private and corporate bodies with business space requirements. The service involves defining the clients’ specific requirements, reflecting on projected future growth of the business and associated expansive requirements in the context of suitability of the property. We manage the development process right through to procurement liaising with the legal representatives for the client and all other professional involved minimising delays and potential for collapse.